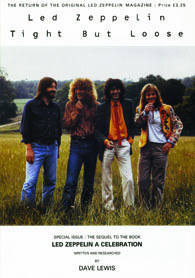 Featuring… 40 Years on… Still The Only Way To Fly! 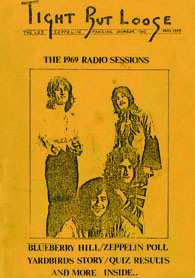 The Impact of the UK release and debut Zeppelin album, the series of one night UK gigs, early BBC sessions and their second US tour, Luis Rey on Zep ’69, Chris Welch ‘Zep 1 : Then and Now’, 1969 memories and quotes. 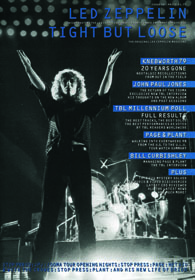 PLUS… Led Zeppelin is over… Will they or won’t they – the final twist, Scrapbook of Memories : The Solo Years, Sublime Sounds Deep In The Zep Mix with Ian Avey, plus much much more. 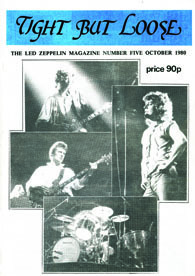 Featuring… The ‘Will They or Won’t They Saga’, Steve Jones Manchester Memories, Mick Wall, Tony Palmer, Zeppelin at 40 Part Three, plus much much more. 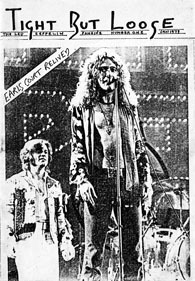 Featuring… Jimmy Page & John Paul Jones at the Mojo Awards and on stage with the Foo Fighters, Robert Plant 60 at 60, Zeppelin at 40 Part Two, Rare Bath Festival 1969 Cine Film, Robert & Alison ‘Raising Sand’ Live, The Song Remains The Same… or does it, plus much much more. 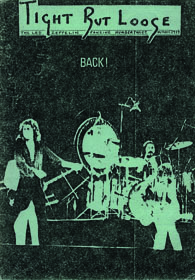 Featuring… O2 Reunion ‘The Aftermath’, John Bonham ‘An Appreciation’, Zeppelin at 40 Part One, Rare Bonzo 1978 Cine Film discovered, Rare 1969 Bath Festival Cine Film discovered, plus much much more. 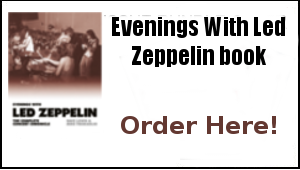 Featuring… Led Zeppelin The O2 Concert, Robert Plant & Alison Krauss ‘Raising Expectations’, Working The Song Remains The Same, Mothership Memories, Led Zeppelin USA 1977 Part Two, plus much much more. 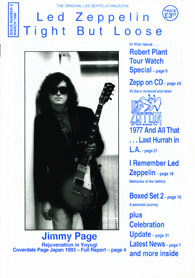 Featuring… Led Zeppelin in the USA 1977 Part One, Jimmy Page ARMS Tour 1983, Robert Plant Nirvana in the West Country, John Paul Jones Jamming in Bonnaroo, The Simon Kirke Interview ‘Bad Company, Bonzo, Zeppelin and me’, The Reel Collectors Guide to Led Zeppelin Part Two, plus much much more. 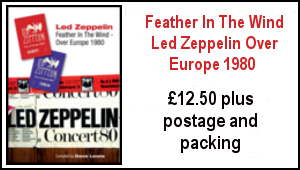 Featuring… Led Zeppelin Over Europe 1980, Jimmy Page ‘Lord of the Strings’, Robert Plant ‘Nine Lives and a day’, John Paul Jones update news, plus much much more. 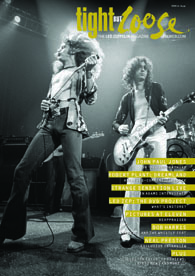 Featuring… John Paul Jones Thunderthief, Robert Plant Dreamland, Strange Sensations Live, Justin Adams Interview, Led Zep the DVD Project, Pictures At Eleven, Bob Harris – Zeppelin and the Whistle Test, Neal Preston, plus much much more. 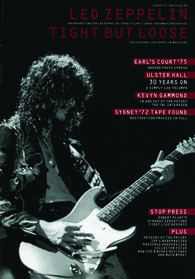 Featuring… Earls Court ’75 unseen photos, Ulster Hall 30 years on, Kevyn Gammond interview, Sydney ’72 tape found, First reports from Strange Sensations live, plus much much more. 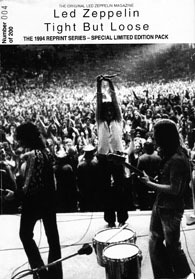 Featuring… Knebworth ’79 – 20 years gone, JPJ Zooma, TBL Millennium Poll, Page & Plant, Bill Curbishley interview, plus much much more. 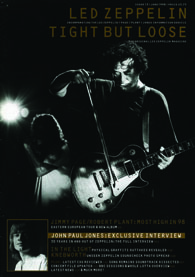 Featuring… Page & Plant ‘Most High’, JPJ Exclusive Interview, Physical Graffiti Outakes, Knebworth unseen soundcheck photos, plus much much more. 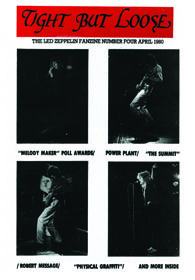 Featuring… Concert File Preview, Page & Plant World Tour, Presence Reappraised, Honeydrippers revisited, Electric Magic 25 years on, plus much much more. 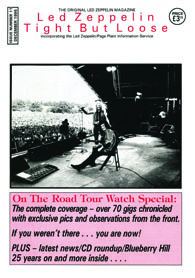 Featuring… Page & Plant on the road, Blueberry Hill 25 Years on, plus much much more. 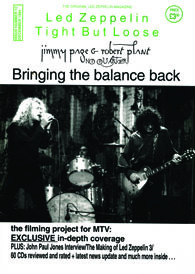 Featuring… Page & Plant No Quarter, MTV Filming project, JPJ Interview, The Making of Led Zep III, plus much much more. 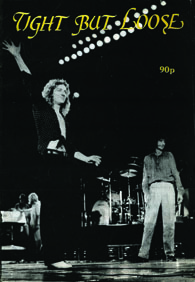 Featuring… Robert Plant Tourwatch special, Led Zep ’77 Last Hurrah in LA, Coverdale Page in Japan, plus much much more. 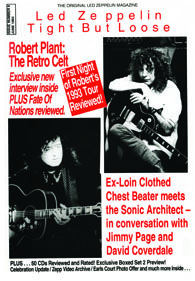 Featuring… Robert Plant exclusive interview, In conversation with Coverdale Page, plus much much more. 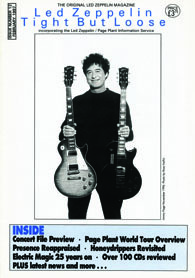 Featuring… Sequel to the book ‘A Celebration’. 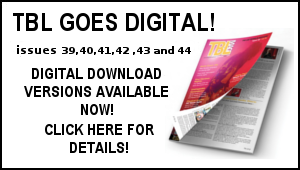 Featuring… the first 6 TBL magazines reprinted in a revised format. 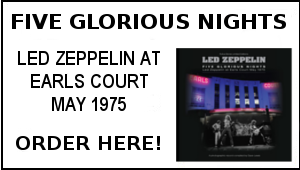 Featuring… All the latest Zep and related news plus much much more.